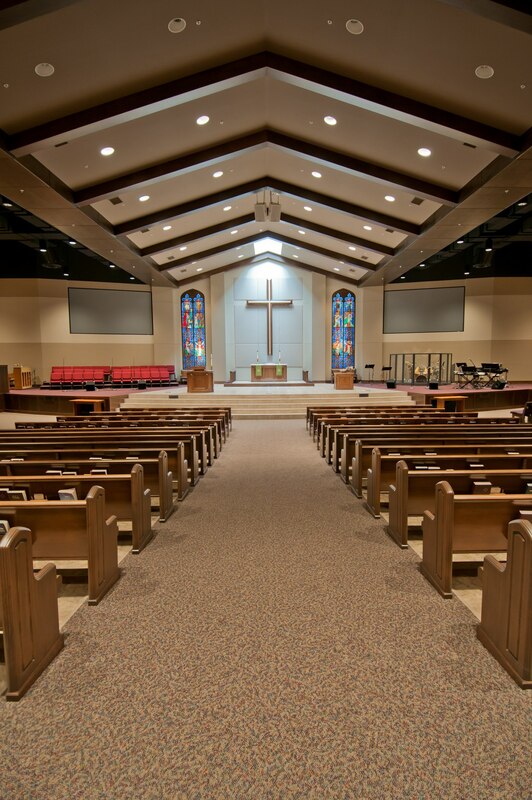 Located at the same Decatur, IL address since their beginning 147 years ago, St. Paul’s Lutheran Church has seen many changes and a lot of growth. 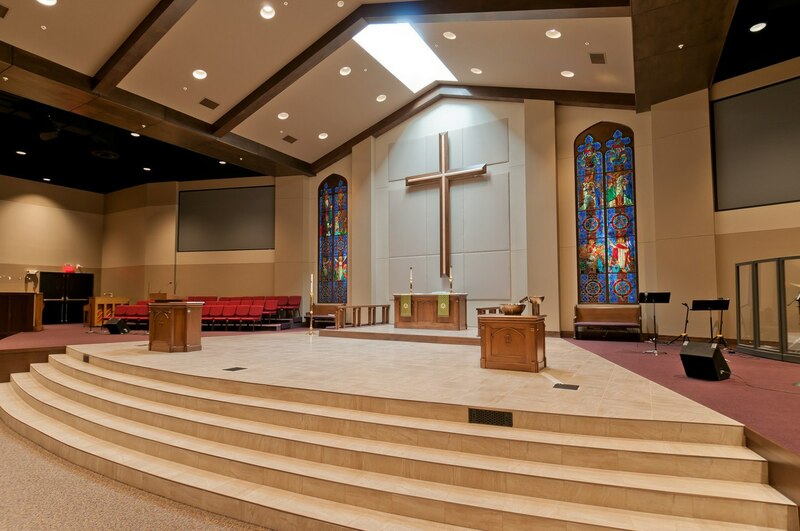 To accommodate the growth in the congregation, they physically divided their congregation ten years ago by holding one of their contemporary services offsite. 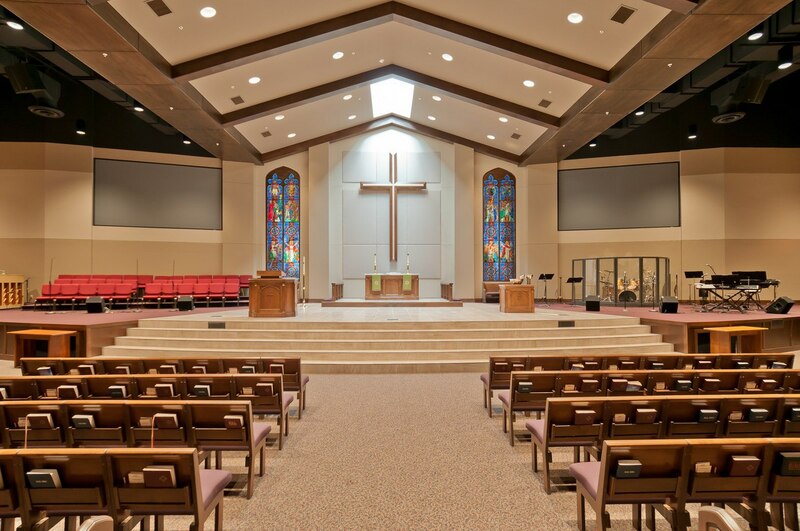 “It was necessary because of space constraints, but this weakened our ministry by separating our congregation,” states Executive Pastor Rob Mrosko. 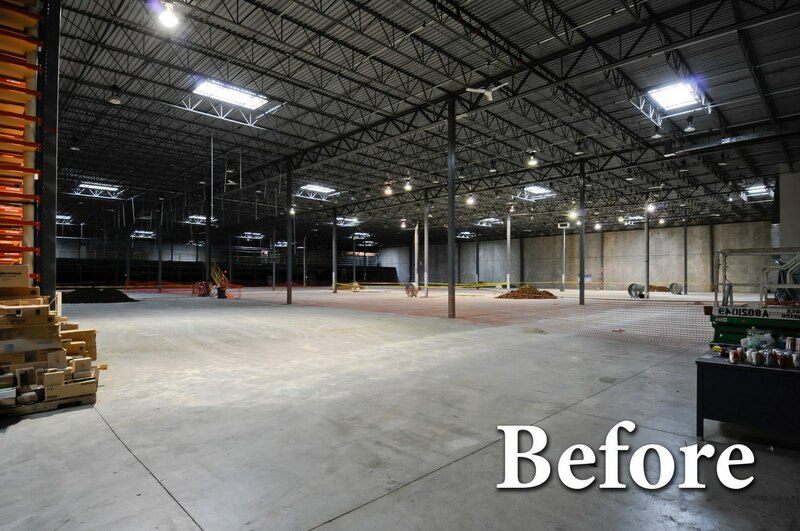 In 2009 God presented St. Paul’s with the opportunity to acquire a former warehouse property on 47 acres of land—enough space to meet their ministry needs for years to come. 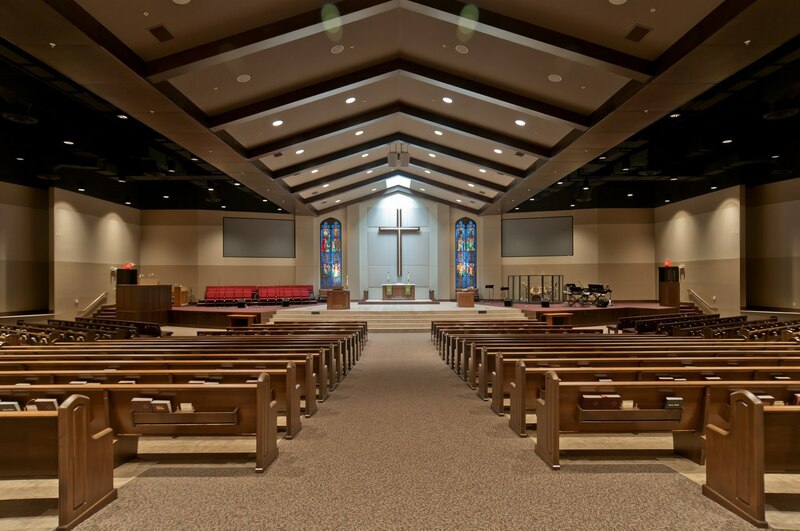 A communication plan was created to help the church staff communicate the vision for the upcoming changes in the life of the church to the congregation. 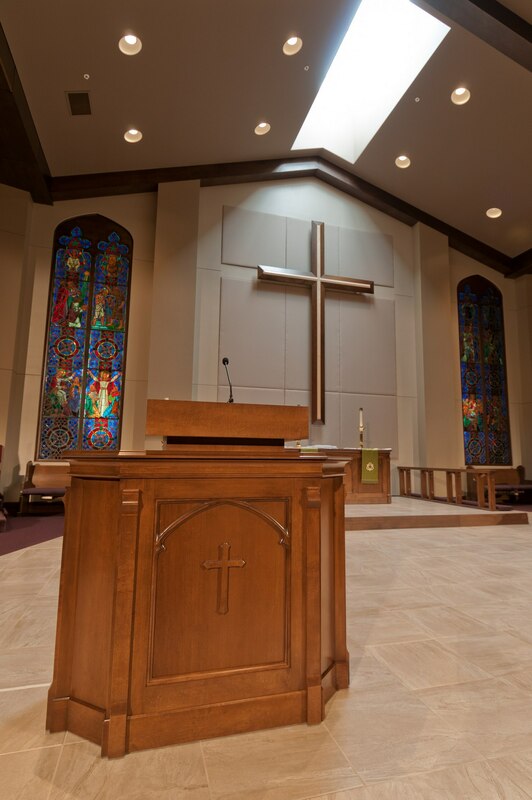 Playing off of the church’s motto “Build the home, change the world,” the phrase “Family Room” was adopted as the overarching theme to convey both the concepts of creating a space for the church to reunite in, as well as creating room for many more families as St. Paul’s grows. 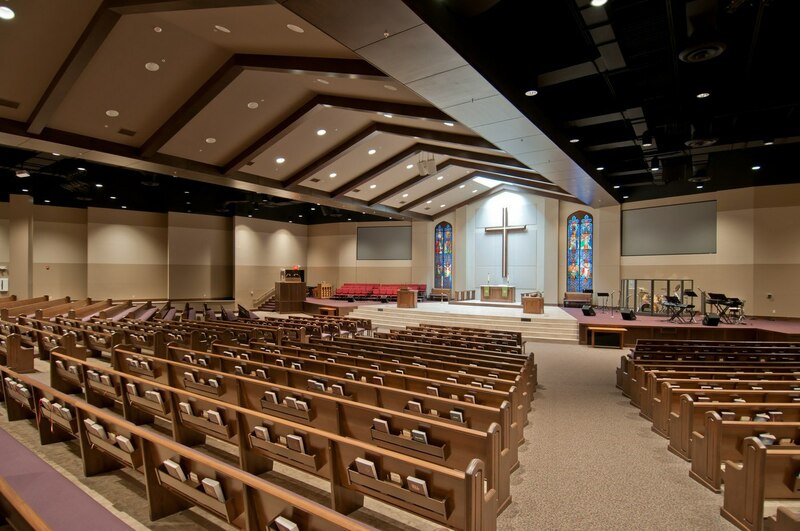 As part of the transformation of the warehouse, Aspen has designed a fan-shaped auditorium-style space for the sanctuary, integrating both contemporary and traditional elements. Columns will be replaced with structural steel to clean up the site lines and the floor will be dug out to provide a raked seating area. Stained-glass windows are being preserved from their original sanctuary to enhance the new altar space. 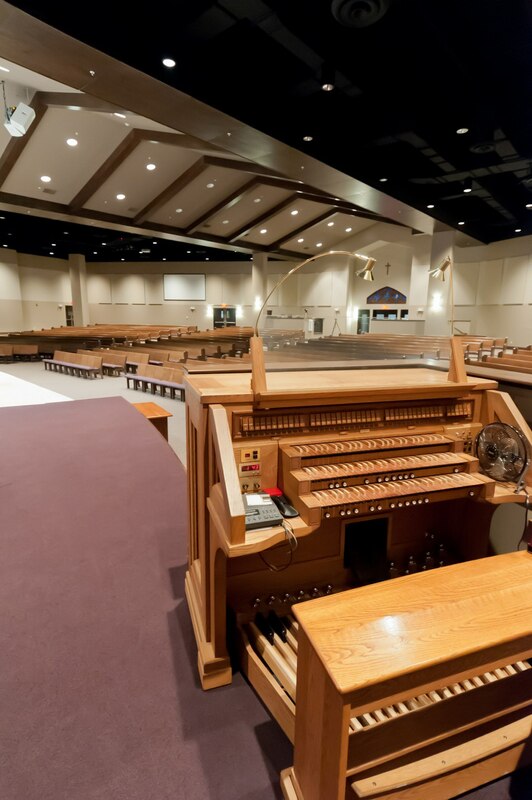 Traditional pews will form the bulk of the 800 seats, with some removable seating used in front to enable more flexible use of the space. Part of the 25-foot ceiling height will be used to create a false peaked roof, reminiscent of their traditional space. The walls will be scalloped with stained glass to break up their long expanse, and back-lit with LED lighting for energy efficiency. All these elements will transform this former warehouse, abandoned and purposeless, into an inviting space teeming with new life and purpose, ready for the Gospel to be proclaimed and God to be praised and glorified.